Cary-Grove Art teachers want to offer middle school students a week long opportunity to work with them and some amazing high school mentors. The camp will run from 9 a.m. until 12 p.m. each day June, 17 - June, 21 at Cary-Grove and costs $150.00. Eighty Crystal Lake South and Cary-Grove High School students participated in a Mock Trial on December 7. Students prepared, planned, and organized this event by working with State’s Attorney Patrick Kenneally and his office staff. Registration is now open for summer school courses. The deadline to register for semester one is April 26 and the second semester registration deadline is May 31. With the exception of driver’s education courses, all summer school courses will be held at Crystal Lake South High School. D155 will host its 11th Annual Parent University on Saturday, February 16 at Prairie Ridge High School from 8:00 a.m. – 12:30 p.m. Register for the event and learn more about the sessions offered. The Illinois Student Assistance Commission (ISAC) recognized 260 D155 students from the graduating class of 2019 as Illinois State Scholars, a prestigious honor. Students are selected based on a combination of exemplary ACT or SAT test scores and sixth semester class rank. The fourth annual GEMS conference is at Cary-Grove High School on January 26, 2019. Parents are invited to participate in the college and career expo as well as the opening activity. The National Merit® Scholarship Program named thirteen District 155 seniors as 2019 National Merit® Semifinalists. Students will find out if they have advanced to Finalist standing in February. Beginning in April, National Merit Scholarship winners will be awarded. 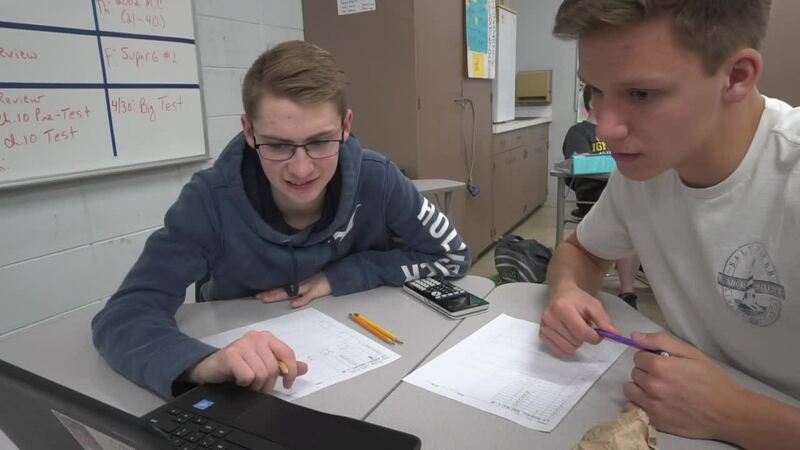 Cary-Grove High School’s CNC Precision Machining and Manufacturing Lab will teach students how to prepare for potential careers in manufacturing and engineering. Students will gain experience with a variety of machines including a computer numerical control (CNC) mill, CNC lathe.